How a generational shift in feminism is setting the agenda for American women. Komen. 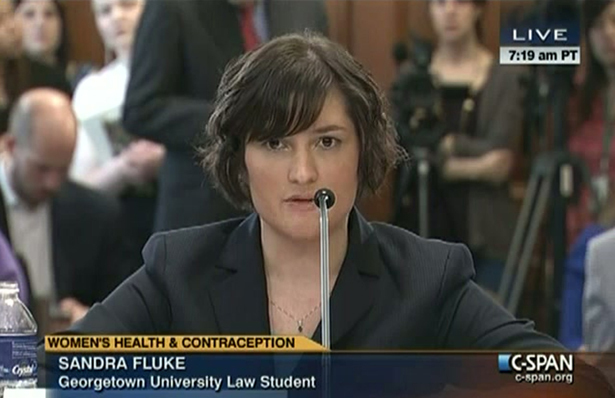 Sandra Fluke. Transvaginal. The reason these words are instantly recognizable—the reason the “war on women” is now part of the national conversation—is largely thanks to younger women and online organizing. Behind every recent battle against the onslaught of sexism has been the energy and activism of young people—on blogs, Twitter, Tumblr and Faebook. And in a long-overdue but welcome change of message, the mainstream feminist movement that once claimed young women didn’t care about feminism is finally catching on. Some are even walking the walk. This comes just two years after Keenan gave an interview in a Newsweek piece that chided young women to “Remember Roe,” claiming that “the next generation…doesn’t think abortion rights need defending.” To young feminists, it was a particularly infuriating article—one that made invisible all of the hard (and mostly under- or unpaid) work they put into activism around reproductive justice. It was also incredibly misleading: as I reported here, it turns out that about 60 percent of NARAL Pro-Choice America employees at the time were people younger than 35 years old. But the truth is that younger women, especially younger women of color, have always been leaders of the pro-choice movement. Aimee Thorne-Thomsen, executive director of the Pro-Choice Public Education Project for six years, was 31 when she started. Miriam Yeung was brought on as executive director of the National Asian Pacific American Women’s Forum when she was 33. And Silvia Henriquez began as executive director at the National Latina Institute for Reproductive Health when she was just 28 years old. Women who have been traditionally marginalized in mainstream feminist spaces—whether because of age, race or both—have long ventured from places like NOW and NARAL to work for other organizations or found their own. Perhaps now they don’t have to. Keenan’s decision comes at exactly the right time, when young feminists and their work are in the spotlight. Now, young feminism has always been here—this is just the first time in a long time that the mainstream media and culture is taking notice in a meaningful way. We’ve been working tirelessly—and often without pay—online and off, laying the groundwork for the battles we’re seeing play out right now. The outrage directed at Komen when the breast cancer organization tried to cut off grants to Planned Parenthood wasn’t just a simple fed-upness by American women. The fast and furious online action that eventually led to Komen’s turnaround was possible only because a younger generation of feminists made it so. While the media was saying feminism was dead and our foremothers were complaining that young women were politically apathetic, we were preparing for these very fights. Bloggers and online activists have built communities that know how to network quickly, organize thousands with a stroke of the keyboard and create messages that resonate with an emerging feminist-minded youth. *Full disclosure: My sister and Feministing co-founder, Vanessa Valenti, is quoted extensively in this article. For more on Nancy Keenan’s departure, read Emily Douglas’s take here.